The Fort Myers Police Department released new facial reconstructions that were made from unidentified human skeletons that were found in 2007. Originally eight skeletons were found in the same location off of Arcadia Road in Fort Myers. FMPD identified those remains as belonging to men that were between the ages of 18 and 49. Three of the skeletons have been identified since their discovery 12 years ago. 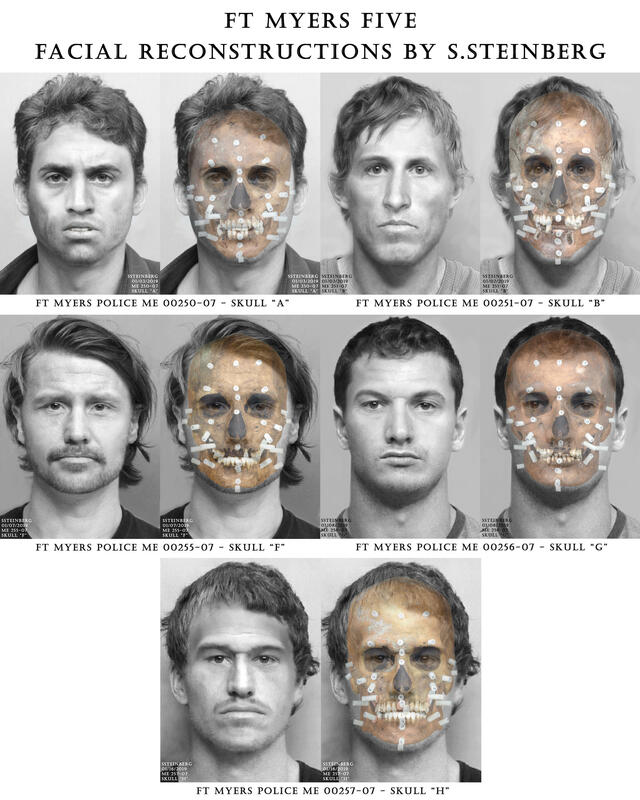 Forensic sculptures were made a decade ago, but at the request of the District 21 Medical Examiner’s Office, a forensic artist from the Miami Dade Police Department was tasked to create new facial reconstructions that provide more detail. FMPD believes the men died between 1987 and 2001. A FMPD press release said the department released the images with the hopes that someone may recognize a lost friend, relative or acquaintance.